November Is National Alzheimers Disease Awareness Month | Hupy and Abraham, S.C. In 1983, President Ronald Reagan made November National Alzheimer’s Disease Awareness Month. Since the 1980s, the number of people suffering from this serious, dangerous, and deadly neurological condition has more than doubled. Today, approximately 5.7 million people in the United States suffer from Alzheimer’s. 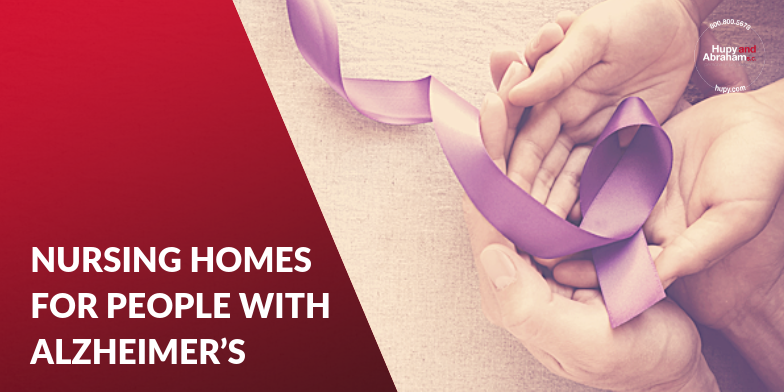 In Iowa, there are an estimated 64,000 people over the age of 65 living with Alzheimer’s. The Alzheimer’s Association expects the prevalence of Alzheimer’s to rise in Iowa by about 14 percent to 73,000 people by the year 2025. Alzheimer’s impacts not only the person with the diagnosis but also that person’s loved ones. Their loved ones face the difficult task of keeping them safe and maintaining their quality of life for as long as possible. For many families, this means turning to skilled nursing homes. Deciding to move your loved one to a nursing home can be a difficult emotional decision. Ultimately, however, you may decide that a nursing home can provide your loved one with the safety and medical care that she needs at this stage of her life. Nursing homes have a responsibility to evaluate your loved one's needs, to develop a plan to care for your loved one, and to implement that plan to keep your loved one safe. Many times this happens and your loved one’s needs are met in her nursing home facility. Other times, however, the opposite happens. People with Alzheimer’s disease may be the target of nursing home abuse or neglect and they may be unable to communicate the abuse or neglect to anyone. Nursing home residents with Alzheimer’s disease may, for example, be the victims of sexual abuse, physical abuse, financial abuse, or neglect. Without adequate supervision, residents with Alzheimer’s may wander or try to do things for themselves that they cannot do safely. For these reasons, it is important for all families who have loved ones with Alzheimer’s disease living in Iowa nursing homes to be aware of the risks, to watch for signs of abuse, and to take action by contacting an experienced nursing home injury lawyer if their loved one has been hurt. Posted on 12/10/2016 How Dangerous Is Nursing Home Abuse and Negligence?